1500 13th Pl S, Birmingham, AL.| MLS# 841489 | Richard Jacks UABLIVING.com 205-910-2297 | Birmingham AL Real Estate | Contact us to request more information about our Homes for Sale in the Birmingham AL area. Fabulous historic home located in the popular Southside area of Birmingham. 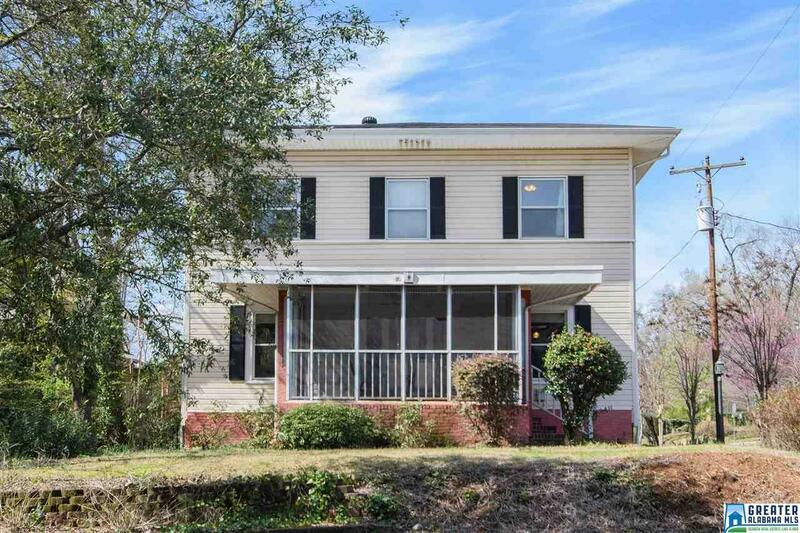 This spacious home is a prime location convenient to UAB, Railroad Park, & Regions Field. Enjoy the view of Vulcan from the front of the home! Enter this home through the screened porch & step into the dramatic foyer between the huge living and dining rooms featuring original hardwoods, gorgeous coffered 10&apos; ceilings, & fireplace in the living room. There are nostalgic glass lighting fixtures in both living 7 dining rooms that were once powered by gas. Off the living room is an office with beautiful pocket doors & built in shelves with lead glass doors. The large kitchen features ceramic tile with a big island that remains along with the refrig. Upstairs has 3 bedrooms including a huge master with a sitting area, fireplace & private balcony. 2 car carport. Driving Directions: 14th Ave S, Past Dreamland, Left On 13th Pl., Home Is On The Corner Of 15th Ave.